Many parents assume that learning the language of positive discipline is a difficult task. When really, it’s not that hard. Good preschool and elementary school teachers are in and out of this language all day long. It’s like learning any new set of language rules; take a new job and you are likely learning new language. It just takes your attention and practice. Proactive techniques – These are ways to encourage the wanted behaviors to happen more often. Foundation steps – These are techniques to use on the way into a discipline exchange. They are not meant to change behavior, rather to allow emotions, keep communication open and lessen the defensiveness of the listener. I messages – I messages give parents a productive way to share their emotion and lay blame. This would be, “I’m frustrated, people are grabbing,“ or, “he’s upset, he wants that back.” I messages are your emotion or the victim child’s emotion and then either global, “people are grabbing” or passive, “he wants that back” blame. Active steps – These are techniques to change or start behavior. They are often a distraction from the behavior. Challenges – This is making it a race or a game in some way, “can you give it back before I count to 3?” For this example, it’s not so attractive, but for others this is often helpful. Contribution – A contribution means giving them a related job title or a responsibility. It might be offering the child to be the time keeper or list maker (if there are others waiting for a turn). End Steps – These techniques are meant to curb behavior. There are a lot of variables to consider between each of these including the age of the child, the level and history of the behavior and fit of each consequence. The foundation, active and end steps combine to make what are called the Steps of Positive Discipline. This gives parents a framework for moving through any discipline exchange. It starts with techniques to calm emotions and open communication, moves to ways to guide behaviors and ends with ways to curb. The steps are a flexible process meant to address everything from running in the house to hitting a friend. This language came out of the work of Alfred Adler in the early 1900s, Rudolf Dreikurs in the 1930s and Haim Ginott in the 1960s. STEP classes (Systematic Training for Effective Parenting) became popular in the 1970s and 1980s and continue to be attended today. Jane Nelsen’s Positive Discipline books have been popular and revised since the 1980s. Join me for workshops in Northern Virginia. I also have online workshops, and I answer questions on facebook (Tuesdays at 10:00pm). I also post related videos on youtube. Discipline Scenario: Your three-year-old wants to walk at the grocery store, but repeatedly pulls things off the shelf onto the floor. Choices – Choices offer the child two positive ways to do the thing you want them to do. 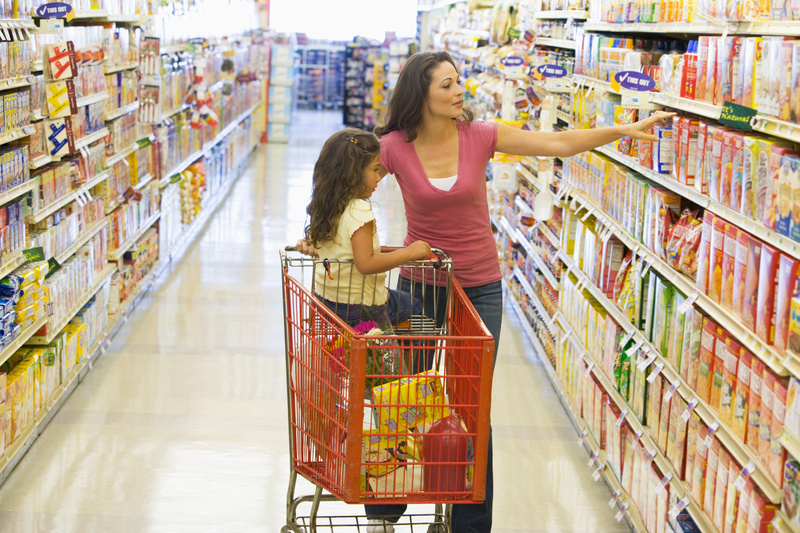 If you want your child to leave things on the shelf at the grocery store, this might sound like, “do you want to ride on the cart or help push the cart?” or, “do you want to carry the cereal or the crackers while we walk?” **Choices, challenges and contribution are interchangeable at this step of the discipline process. The steps of positive discipline are designed to give parents a framework for moving through a discipline exchange. The idea is to learn each and be flexible in the moment. I messages label your or another person’s emotions and explains why you are feeling this way. This avoids you messages which blame the child. Rather, blame the behavior or the situation. This blame can be global (“no one is listening”) or passive (“this is a mess”). Rule: When you are the angriest person in the room or laying blame. Empathy labels your child’s emotions and validates why they feel that way. This can also be given through wants or wishes (“you wanted to win the game”) or storytelling (“I remember when I was little and that happened to me…”). Rule: When your kids are bent out of shape and need a bit of help to calm. Positive intent is giving those you love the benefit of the doubt. This means thinking of them as tired not lazy and needing to learn social skills not rude. This is more a shift in thinking than it is a shift in language. Rule: At least think it every time. Choices are two positives for the child that meet your goal as a parent. Rule: Choices (challenges or contribution) before consequences as best you can. Challenges are making it a game or a race, making it fun. Contribution means giving the child a job to gain the behavior or keep them on track. Natural consequences are what just might happen in life if the child chooses or continues a given behavior. These start to make more sense around three-and-a-half or four years old. Rule: State and allow the child to experience. Avoid rescuing. Logical consequences should match the child’s behavior in time (as soon as possible and immediate under three years old), intensity (at the same level) and content (on topic with the behavior). Logical positive consequences are the good related outcome to the positive behavior. Rule: Works a lot like choices. Logical negative consequences are the bad related outcome to the negative behavior. Rule: Meant as an endpoint, and only allowed for starters with aggressive behavior. *You have asked your child to clean up his toys, he just stands there looking at you. Challenges: Can he clean up the blocks before you clean up the cars? Contribution: Make him the Clean-up Supervisor with a check list for jobs. *One child is yelling at another over taking turns with a toy. Challenges: Can he list three other things he can do while waiting for his turn? Contribution: Show the child 10 minutes on the clock, and put them in charge of letting you know when the time is up (but not a second earlier). Empathy – This is validating the child’s emotions as you enter into a discipline exchange, even when you disagree with the emotion at hand. It is saying, “wow, you are mad, you didn’t like that game,” or, “I see you are sad, it’s hard to be left out.” It’s remembering to validate emotions and help find a calm before you address the situation or discipline. Positive Intent – This refers to how we view the child’s behavior. What we think and assume about their behavior, shapes our tone and our reply. This is thinking of those you love as tired or overwhelmed rather than lazy. For the child having trouble waiting for a turn, it is seeing them as excited, young and needing to learn patience rather than annoying or rude. Choices – The idea is to offer the child two positive choices about how, when or where they can do the behavior you want them to do. If you are wanting them to get homework done, this might be, “do you want to start with reading or math,” or, “do you want to work before or after snack,” or, “do you want to work at the kitchen table or your bedroom desk?” These often work because they give the child some power. Natural Consequences – This is what just might happen in life if the child continues the behavior. These warn and encourage the child to think about the possible outcomes. This sounds like, “if you don’t wear a coat, you might be cold,” and, “if you do that, she might not want to play with you.” These consequences start to make sense around three-and-a-half years old.